Tomorrow (May 29) we celebrate our yearly event "Kizuna" for the 10th time. It will start at 12:30. Today I received a phone call and an email from the Head of the Sri Lanka Branch. They had heavy rains that caused overflowings and the situation is worrying. 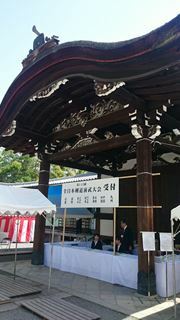 Today the 112th All Japan Kendo Competition was held at the Butokuden in Kyoto. To be able to participate, one has to have the 6th rank. It was my first time participating, so please practice with this competition as a goal. This competition was different from others, in the sense that one has to concentrate much more and one can feel the martial art spirit even more. Also, one can see other martial arts, such as naginata and others, from very close. 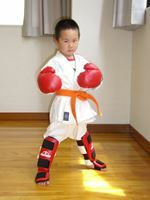 Japanese martial arts are great! 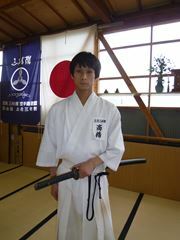 Takahashi, who now works in the city of Nagoya, came back to Kyoto on Friday to practice Iaido. We broke a good sweat the two of us, for two and a half hours. It was a very good practice. I feel happy and satisfied.